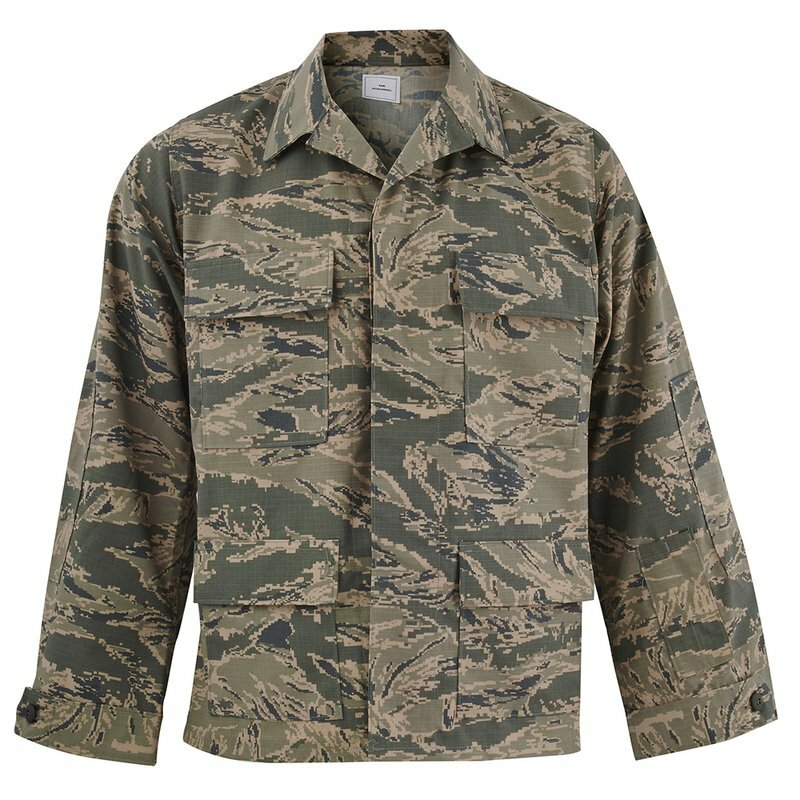 The Air Force ripstop airman battle uniform coat, also known as the RABU is pixilated tiger striped with four soft earth tones consisting of tan, grey, green and blue. The RABU includes four front pockets to hold small tools, flashlights and cell phone. It also has a small pencil pocket on the left forearm. Some coats may have interior pockets. Machine wash and tumble dry. Dry cleaning, starching and hot pressing will deteriorate the fiber or shorten the wear life. Starching and hot pressing is not recommended.